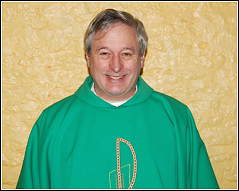 I am tremendously glad that St Joseph’s Parish now has its own website. The site has been set up to facilitate fundraising for the repair of the church and I pray that it will help good communication and permit many to comment and to contribute. Thank you to those who have worked to achieve it. But most of all I hope that it will allow us get to know and value each other more. The idea of being a Christian community is that we promote and experience caring fellowship among us. Anyone who has experienced genuine Christian fellowship knows how inspiring, attractive and motivating it can be. 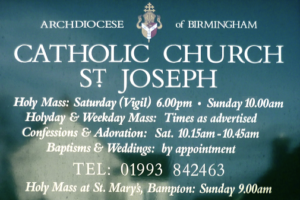 St Joseph’s is at the heart of our Christian community and I hope you are attracted and inspired by what you see. You are always welcome to join us. A large number of parishioners and friends from outside the parish have donated their time, energy and money to our repair fund. Thank you very much – there is still much more to do. I hope you can add your contribution – in whatever way – to keeping St Joseph’s in good condition for many more years to come.